Tuam lies 32km north of Galway City on the N17 major route. The town’s strategic position makes it very accessible from any part of Ireland or abroad. - 20 minutes from Galway City. - 15 minutes form Galway regional Airport. 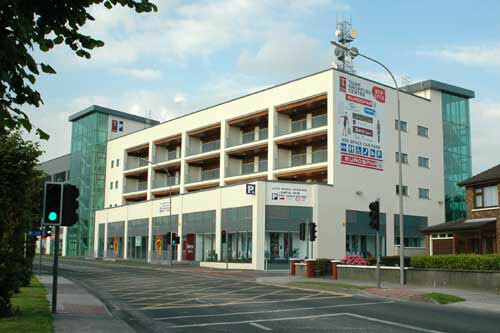 - 25 minutes from Knock International Airport. - 2 hours from Dublin City. 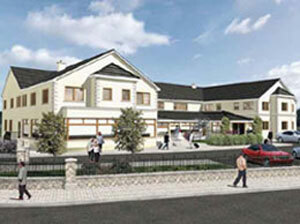 Tuam has historically been a dormitory town of Galway City, but has significant industry in it’s own right. Multi-national employers include Valeo, Transitions Optical and Logstrup. 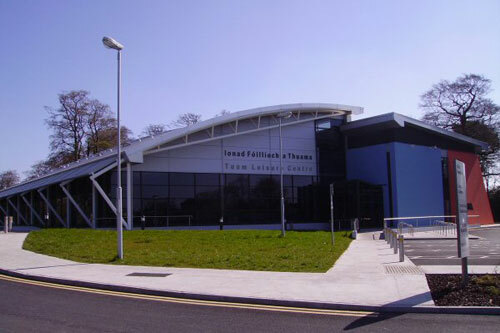 Tuam strategic geographical position and the availability of quality business premises has given rise to many small indigenous businesses serving the West of Ireland and beyond. The town is well equipped with serviced business parks capable of housing small of large industry. Education ; the town has primary and secondary schools for both boys and girls. The nearby Galway City offer third level education at National University Ireland – Galway (NUIG) and Galway Mayo Instute of Technology (GMIT). 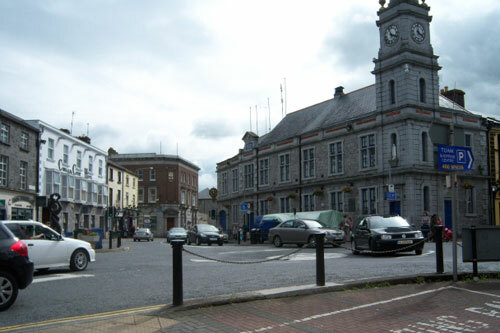 Social ; at a social level, Tuam has several restaurants, quaint bars, night clubs, shopping centres and traditional small family run shops. Sport ; The town is steeped in sporting tradition with gaelic football, golf, rugby, swimming and basketball being to the fore. 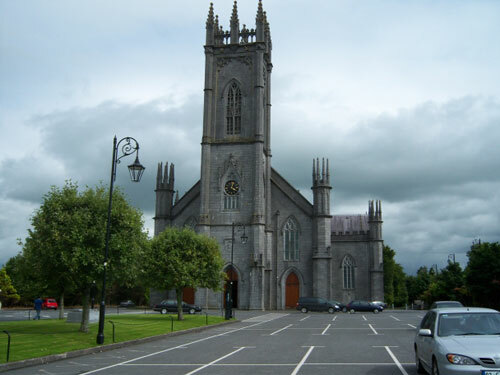 Religious ; The town has two cathedrals, St Jarlaths Catholic cathedral at Bishop St and Sy Mary’s Church of Ireland cathedral at High St.
Tuam is best known as a centre of church affairs, ancient and modern and has two cathedrals. The town owes its origin according to legend, to the broken chariot wheel which St. Jarlath took as a sign to found his monastic settlement here in the 5th century. Tuam, the probable capital of Ireland during the 12th century, when the High King Rory O’Connor was in residence. During this period the O’Connors endowed Tuam with the processional Cross of Cong (now in the National Museum).